Portland's Deering Center neighborhood is the oldest neighborhood off of the downtown peninsula. Deering was formerly an independent city before it was incorporated into Portland in 1899. 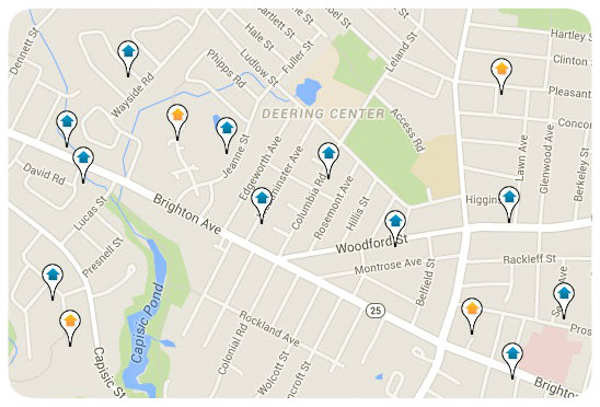 Geographically, the Deering neighborhood is anchored by Forest Avenue and Brighton Avenue with the landmarks of Deering High School and Baxter Woods. Homes in Deering range from tree lined streets of single family homes, multi-family homes and condo's. Residents enjoy walkable neighborhoods, shops, and a few restaurants.